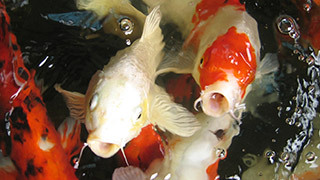 Fish are a large group of animals with gills that live in the water. Most fish are cold-blooded while larger, active swimmers can maintain a higher core temperature. Over 30,000 species are described, fish live in almost any aquatic environment, having a great diversity in shapes and skills.